Sun seekers rejoice – here's a holiday hotspot that's refreshingly laidback. Qawra, up at the North Eastern tip of the archipelago is the place to be for its attractive pebbly beaches, its array of water sports activities and, of course, its sunshine. 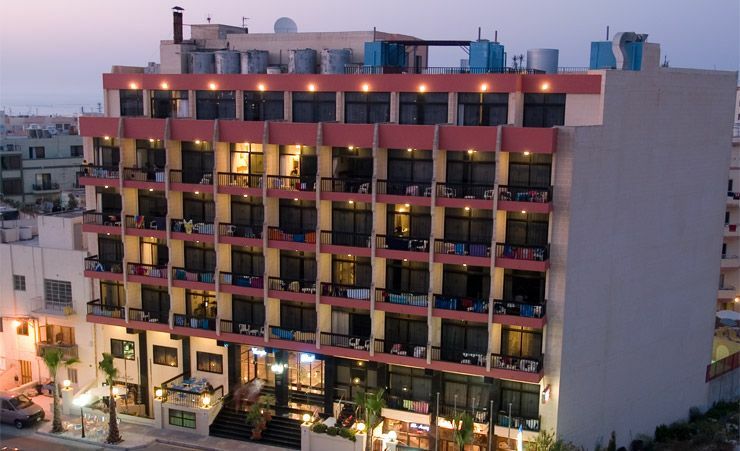 One of the island's premier places to stay, the Canifor Hotel brings you four star facilities right in the heart of Qawra. Famed for its friendly and attentive service, it's one of those 'you won't have to lift a finger' hotels – the staff will do whatever they can to ensure you have a really relaxing holiday. As soon as you arrive at the Canifor Hotel you'll know you're in for a treat. 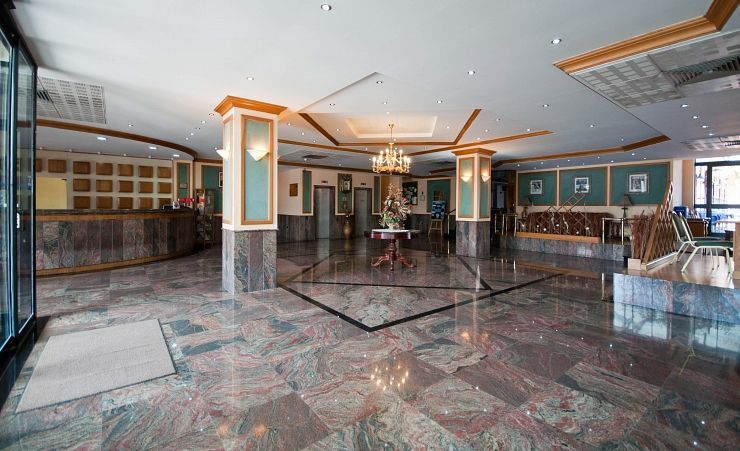 The impressive reception area shows that this is a hotel of real quality. And it's ideally situated for whatever kind of holiday you want. There are flat, pebbly beaches at St. Pauls and Salina Bays – both wonderful places to take a dip and catch some rays. The Canifor Hotel is just the sort of base you need. 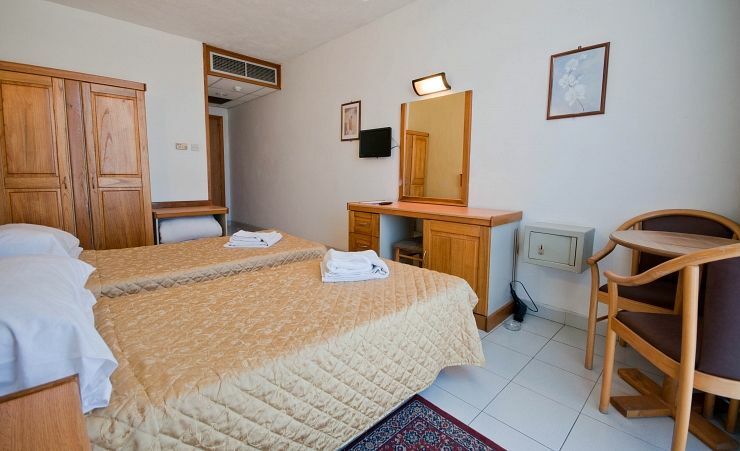 The en suite rooms are all fully air-conditioned and come with direct dial phone, radio and mini cooler. Each has its own balcony too. There are certainly lots of incentives to spend time in the hotel, whether it's for a dip in the indoor or outdoor pools (or Jacuzzi for a bit of a treat), or a quick tan top up on the terrace. To really get you relaxing, you can even have a massage (there is a charge for this service) – just one more way that the Canifor Hotel really looks after you. 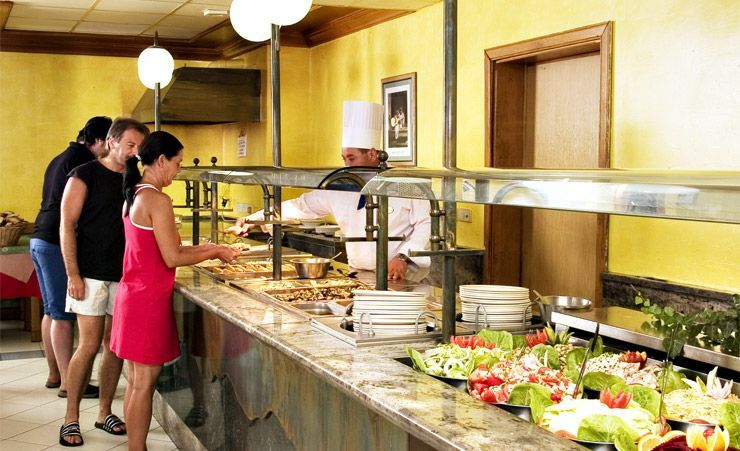 The Canifor Hotel has its own restaurant as well as a Saturday pizzeria to tempt you. Qawra gives you all the ingredients for a perfect Maltese holiday – and one of the most important is the Canifor Hotel itself. As soon as you're booked in, you'll begin to relax and enjoy the perfect laidback lifestyle. Breakfast, lunch and dinner daily, local alcoholic and non alcoholic beverages, snacks and tea/coffee. (Time and measurement stipulations may apply). The hotel was excellent the staff, food and cleanliness. a 'no frills' comfortable and friendly hotel. evening entertainment very good most nights. staff particularly bright and friendly. will go again next year . Overall the hotel was good, good food and great location in the centre of Bugibba. Lovely clean, comfortable hotel. Lovely staff. The staff were very efficient and helpful. It was what we expected for what we were informed by pre holiday literature. 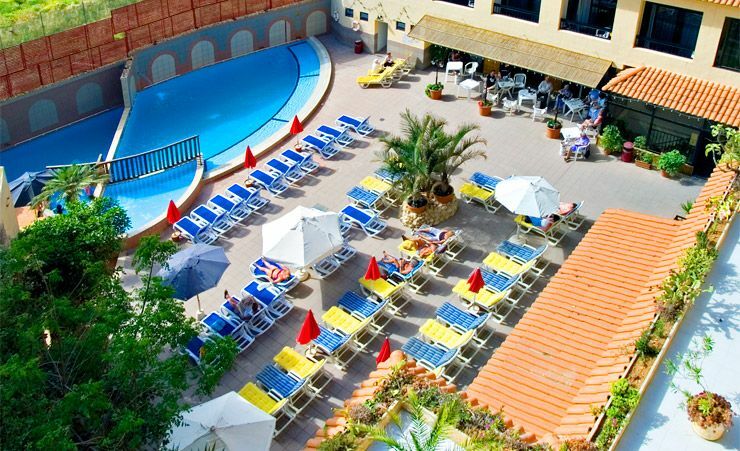 overall the hotel was excellent and in a good position for all local amenities.Evening entertainment could be improved to give a variety of choice. Staff and facilities was very good.Our only gripe was that of a very early return flight time which resulted in us losing out on a breakfast before leaving the hotel, in effect only getting 6 breakfast not 7 in the price. Had great holiday once again and overall satisfaction highly rated. This holiday was better than I could have imagined. Canifor hotel is excellent value for money. The rooms throughout are heated to the ideal temperature. The bedroom and en suite bathroom were well cleaned and spotless. The meals taken by me on half board were very good , especially the composed salads and fish dishes. staff very helpful and polite , room was clean and tidy, room service every day fresh towels, meals , good mostly English, a few Maltese dishes. lot of variety , self service, central for local buses, good to get round Malta,Gozo and Comino. Excellent base. 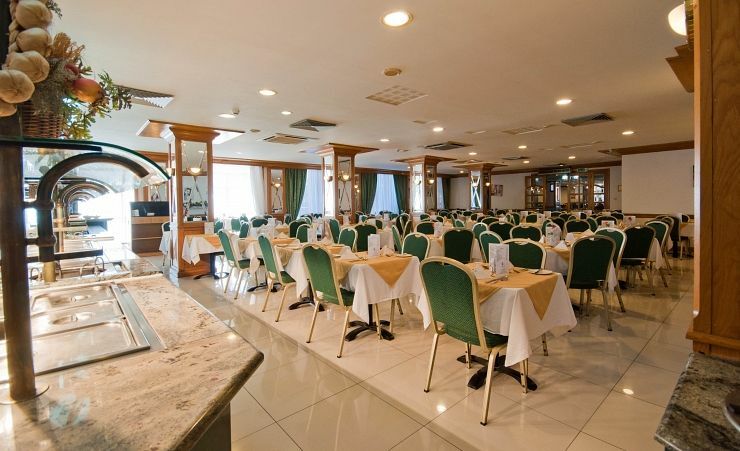 Extremely pleasant hotel & in a great location with all amenities at hand. This was the 1st time my wife & I had used Mercury Direct, we paid for 2 weeks & had a further 2 weeks free, a fantastic deal. We are already looking at booking our holiday for next year, with Mercury Direct to Malta. An excellent holiday. My room was spacious and clean and comfortable. The food was varied and delicious and the staff were friendly and helpful. I enjoyed my holiday very much. Thanks for making it possible.